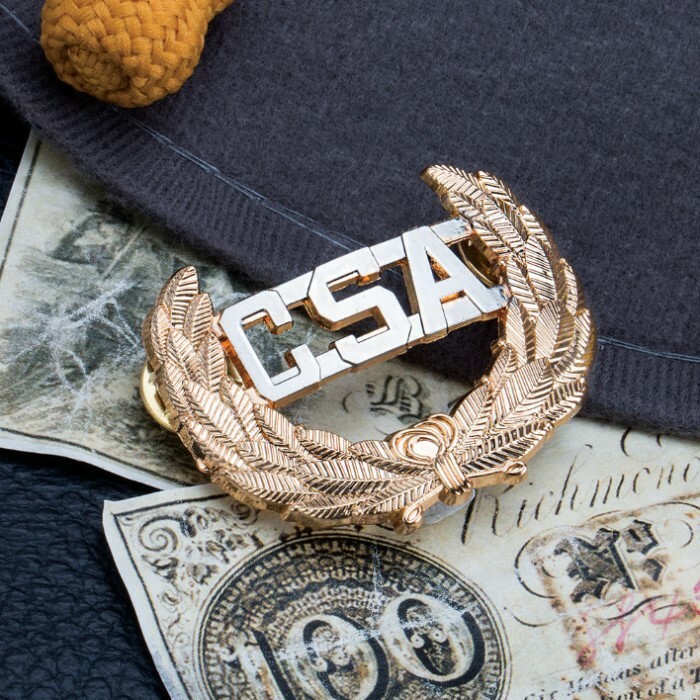 Gold CSA Hat Pin | BUDK.com - Knives & Swords At The Lowest Prices! 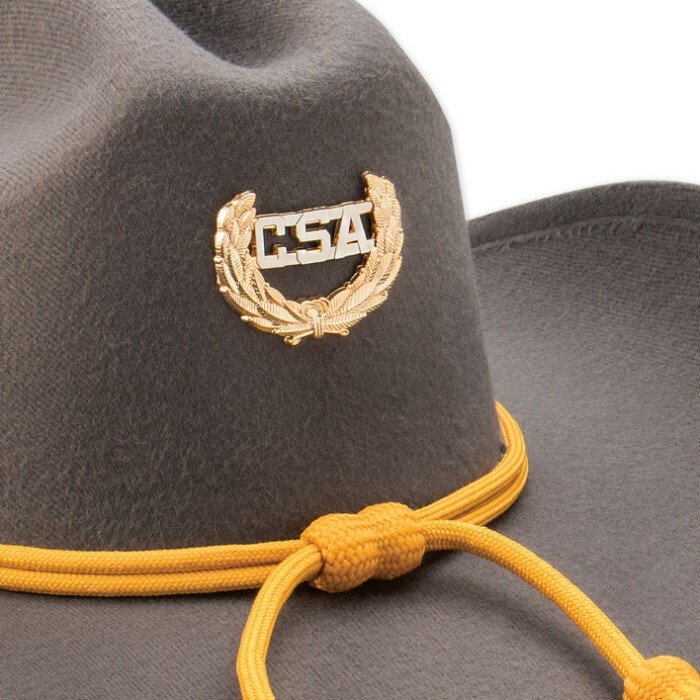 Don't just use this hat pin for your hat! You can wear this attractive gold and silver CSA Hat Pin anywhere. It is constructed of a sturdy metal alloy with a shiny finish that will stand-out. This pin is 2" x 1". Ordered this on the 7th received it on the 11th and its awesome. 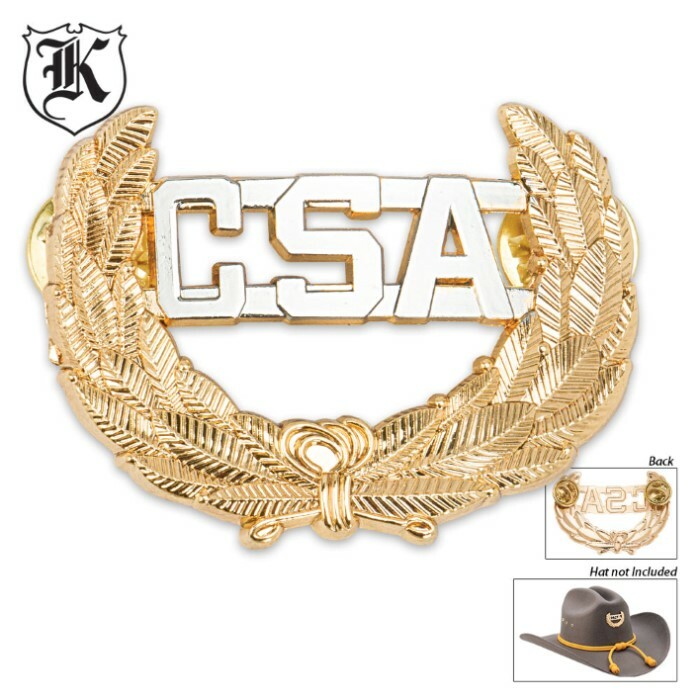 Fits perfectly on my cowboy hat and shows my southern pride and stands out beautifully at an awesome price. Thanks BUDK!! !